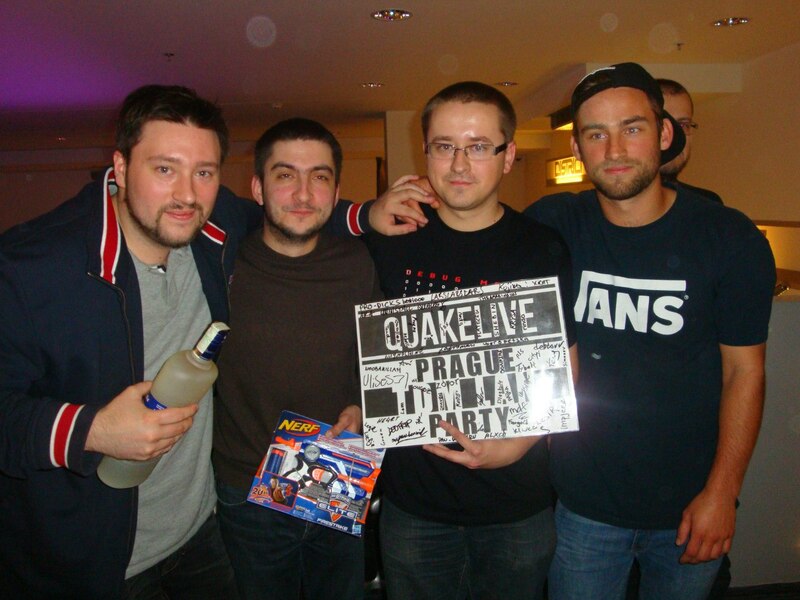 After exhausting 3 days we finally know the winners of Quake Live TDM Prague Challenge. For those who didn't attend I can only advice to come next time and don't miss the epic fun. I would like to thank everyone who helped with any bit of organization and also to everyone who attended. If it wasn't for you guys, the event would be really sad and boring if it was only me alone in the cafe for 3 days, so don't thank me and go thank yourselves! From the community, to the community. thanks for doing all the hardwork and making this lan happen. Was so awesome to watch glad I had some time in the mornings to be able to get up and watch some amazing matches. I'm calling it best match was the 3rd place finals. 3rd place match was very dramatic. 300 had 15 frag advantage win is around the corner, and then spartie's mouse dies again. He tried to do something, but without success. So he got default club mouse and after timein spent one minute adjusting sensitivity, just standing still while other guys was getting frags on him. And after that he played decently, but just not in full force. Sad, but he should do smth before the game, xai was dieing all the time in previous games. No wonder spartie was shitface drunk ten minutes later. 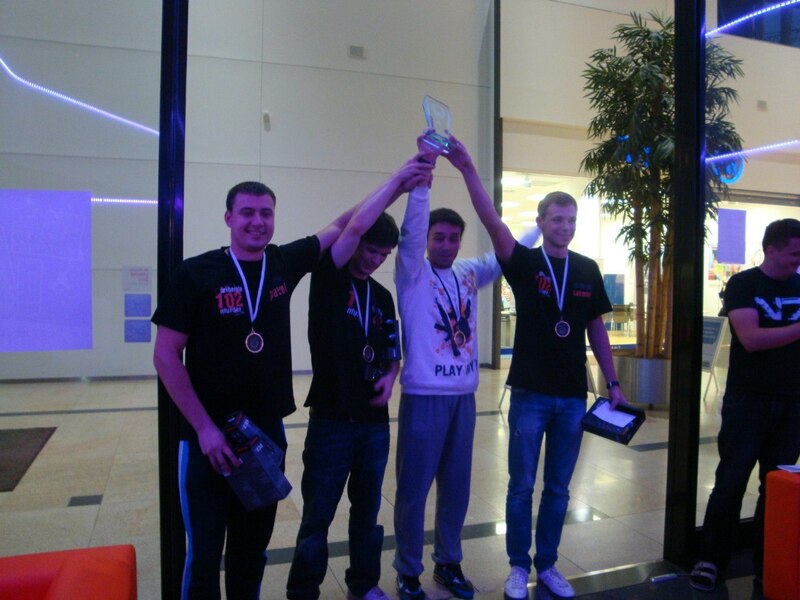 But the best game, at least for me watching on lan, was old vs cze semifinal. That comeback resulted in standing ovation from all spectators. I was lucky to see it, sitting behind old and hearing everything they've talked and seeing two and a half screens from four. That way I found as a best way to spectate, had much better understanding, whats going on, who's doing what. Old are not talking much, if you compare with 102. Russians are talk through everything, there were a constant feed of timing and positioning information. finally sat down watched day 3 playoffs. good stuff. ggs to all. Great coverage, great event, great people! Wision you da man! wision is da man with balls..
Nice plusbait but it's already in the VODs section of the OP. 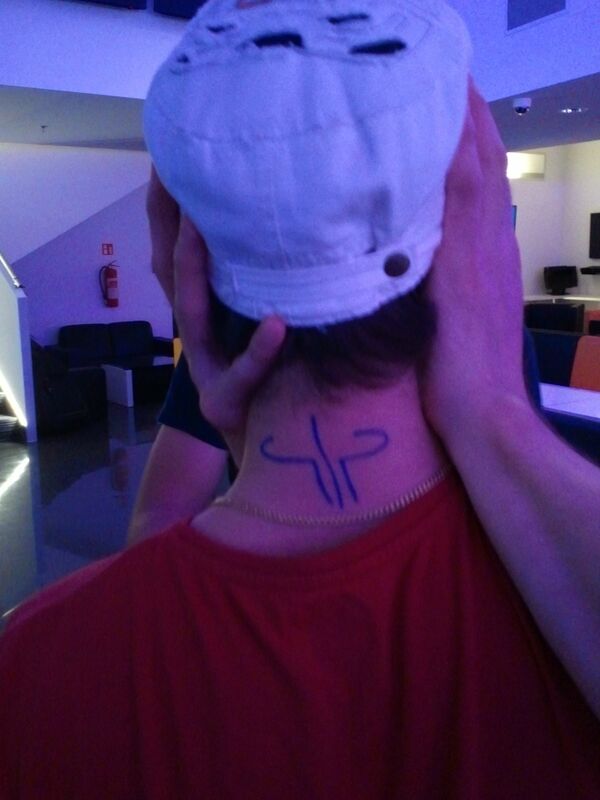 Best lan event experience I've had so far. Was happy to meet new people and to see some others again. can someone organise the demo folders a bit, so i could upload the semis and the final (at least)? no photos of the medals & trophy with 102? Still deciding what to do with the FFA stuff! I would love to see the ffa vids plz!!! Good enough for me tks! 1 What ive heard from people the 2 new maps need some changes to remain in the mappool atleast, even tho both maps got picked ALOT i think there not as good as older maps. We need to change arcade citadle for sure, and maybe little changes to terminatia. Like that little change on Limbus made it a splendid TDM map actually! 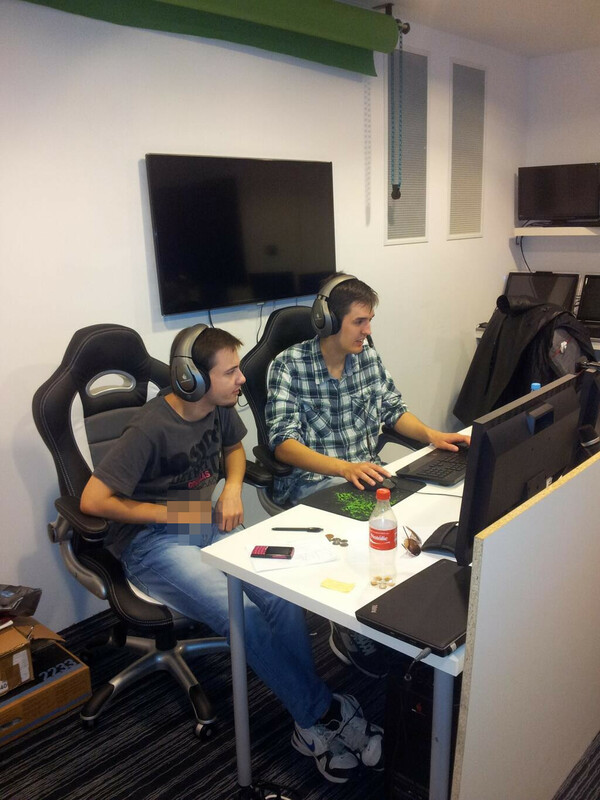 2 next time hopefully we will have more monitors so we dont have to switch setup all the time. The venue will be amazing if they get proper displays. Everyone was constantly smiling except ins and coolleR (who actually smiled eventually). Girl quakers are all pretty. I want to marry each one of them. Legie emanates a positive aura that you can almost see. Kozo's BMW roadster destroyed my hair. The medals were epic. Props to koziol for the design! My new best friend is p1s for bringing me surstromming! The spectator area was the best invention since Quake and best execution since Cypher's air rockets. The studio had a green screen to put a background behind casters, next time it can look even more pro. Too bad wision wasn't properly interviewed about all that's going on in TDM. He'd describe better how #tdmpickup works and why it's nice even if you're a noob. Even the "last" team (who lived up to their name) talked about keeping playing after the event, that's how great fun it was. Good luck guys, hope it works out! New maps were played a lot. ZOWIE becoming the "main sponsor" after sponsoring like 300 euro worth of prizes, while pixie_rail and Memento_Mori donated 500 each was kind of silly. They're apparently willing to start a longer term sponsorship with QL TDM, so it's all good if it works out. No idea what the fuss is about Spart1e, he just partied how he likes but he wouldn't do anything if you're not allowing him to. Shame on people who feel offended. Thanks for Zoot for putting the stuff on YouTube, Twitch VODs don't even work anywhere. Speaking of which, LesTR spent like 30 minutes trying to make one of the (Internet-enabled) TVs to play the secondary stream. Twitch definitely doesn't work on TVs. Pugatti is Chilean raised in Sweden. He didn't actually want to beat me. EnJoYka basically told me each day she thought I'm more grumpy. My biggest accomplishment as an admin ;) Nicest smile of the event btw. When a group of 40 people drink alcohol and make noise on the street at 2 AM, police doesn't even stop them. In Poland half of us would get tickets. What a nice country. Apparently all Czechs have someone in their family who makes slivovice. The one from shebin's uncle was really nice, but then I tried Dloobiq's and it was even better. No move is forbidden when you want to change lane in Prague. The whole time I was drinking Kofola. Really similar to (out of production for years now) Polo-Cockta, cola variant but with a bit of vanilla and lemon or something. I loved it. Turns out it's even owned by Polish company but completely unknown here. Have I beaten raythenoob's post length record already? It also means you can go through it while spectating with free float camera. And if you pass when it's open and the door closes on you, you get stuck inside the door with no way out. It would be nice to resolve this annoying but minor technical issue, but it won't be enough to get the map played. it's the main thing why lan is cooler than anything else... ;( and it's a big advantage if you ask me. Sitting at the airport, waiting for my next flight to home city. Had a very pleasant time. Thank you, guys! Was very nice to meet you and spend the monday with you and the other guys. Denk dat jullie mogelijk meer hadden kunnen bereiken. Hey Paul! Ja inderdaad ja. Ik had hele grote totaalfaal door allerlei setup problemen etc. Hoe is't verder joh? Wist niet dat je dit nog volgt. Laat wat van je horen af en toe :-). Speel heel afentoe zelf een dueltje als wat oude vrienden me uitdagen. Voor de rest gaat het best aardig, ben momenteel bezig een zaak te starten... moet rond januari of uiterlijk maart open zijn. Nou dat zal je allemaal reuze meevallen kerel. Zit je nog op texel? Wat voor zaak ga je starten? Het is echt ontzettend lang geleden allemaal he. Ik hoop dat 't allemaal goed gaat! We hebben echt ontzettend veel trololol gemaakt op die lan. Het was echt heel tof hoor. Ouderwets quake! 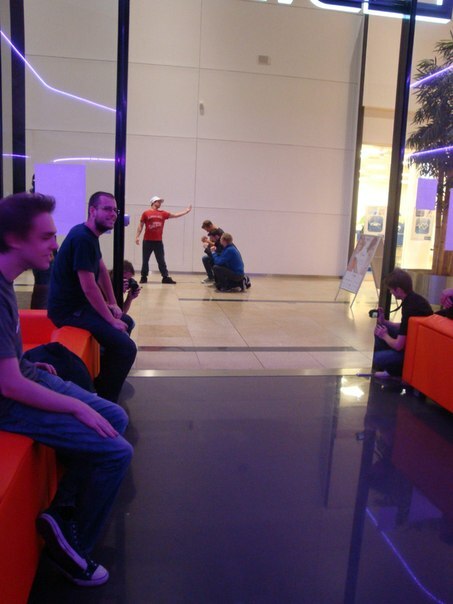 Ga je nog eens wat actiever spelen? 1. It was already extended by a week, too bad it wasn't 2 weeks, would coincide nicely with this TDM hype! 2. I'd expect admins can still add clans. Can someone confirm? c'mon make a newspost, everyone has forgotten about this! I'm not working with website or newsposts... don't even have an access. 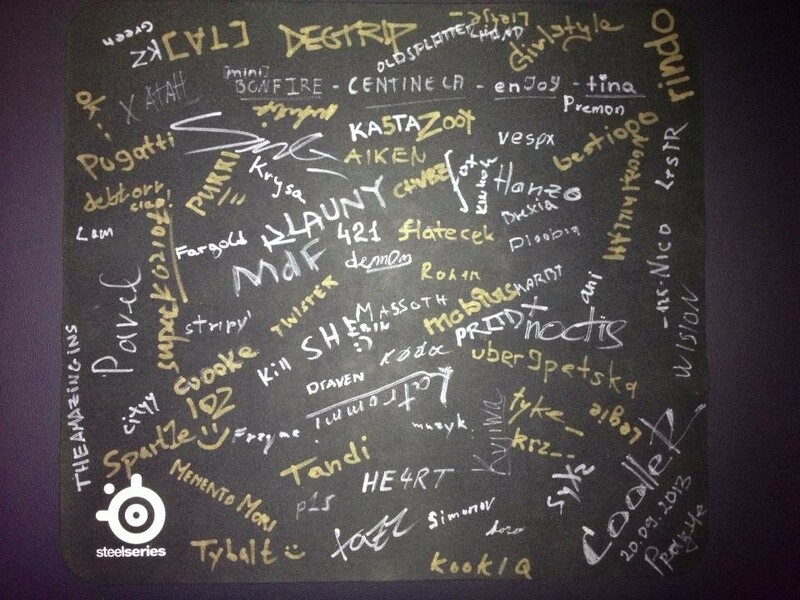 thank you for an awesome event everybody, keep it up and see you guys next year at the latest! You gonna put up the video of cooller winning the FFA? if i remember correctly i dont wanna see you with any beer. what so ever. but that might be grumpy old me :). Cooller is going gangsta with his new earring. Guy uses like 1 calorie/hour for the controls in QL. It's nuts. Very steady hand. Thanks wision for all the work. I hope we will do this next year again. yeah that was nice, Latrommi also did the same move on this map. There is something in every pro player that just distinct him from the rest... yes, with good aim, little sanity and lot's of playing everybody can become good, but to be among THE best players you need something special. Fox is one of those. 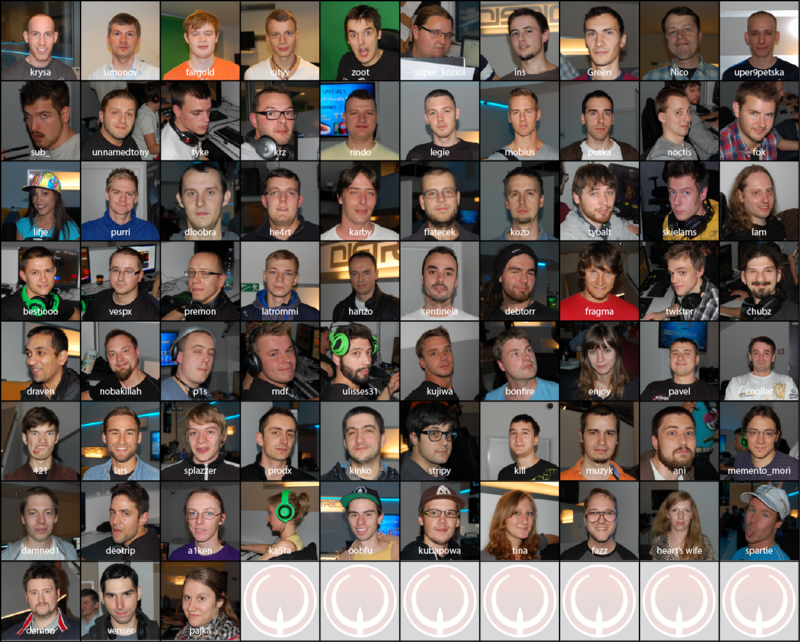 that pic with all faces & nicknames is so great! chubz! Next LAN we're going to drink Karlovacko! what mice are people playing with?